Note: If you are running a 32-bit version of Windows XP, Vista, or 7, and wish to upgrade to 64-bit Windows, backup your settings and personal files as these will not be kept during the upgrade. Upgrade discs are available for purchase ($70) from Amazon.com, Best Buy, and other major retailers as well as the Microsoft Store (after October 26th.) The upgrade disc will cost $70, although you may find companies offering discounts or promotions around the launch of Windows 8. This offer is valid until January, 2013. From October 26 onward, you can purchase and download a Windows 8 Pro upgrade (download) for $40 from the Microsoft Store. This offer is valid until January, 2013. If you purchased a PC with Windows 7 pre-installed between June 2, 2012 and January 31, 2013, you can upgrade to Windows 8 for $14.99. Be sure to register for the offer at windowsupgradeoffer.com by February 28, 2013. If you want to dive in an try Windows 8 without installing or upgrading yourself, it may be time to consider some new hardware. 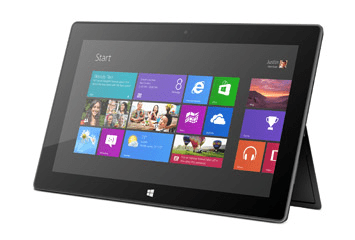 The market will be saturated with Windows 8-ready touch screen devices this holiday season. Top touch screen picks include the Dell XPS 12 and, running on Windows 8 RT, the Surface. If you’re still not ready to buy, you can download the Windows 8 Release Preview (valid until January 15, 2013) as a Virtual Machine with VirtualBox. A little confused about upgrading from 32bit version to 64 bit version, sites say cant use the online upgrade but need an upgrade disk. Can I get that online and make the dvd or do I need to buy it. Both the disc and online upgrade will let you upgrade your 32-bit installation of a prior version of Windows to 64-bit Windows 8; however, you will lose settings and files–so backup first. As a side note, when you upgrade to Windows 8, you’ll have the option to “Install by creating media”, which will allow you to burn an install DVD at no extra cost. what to do when windows 8 will not complete ?